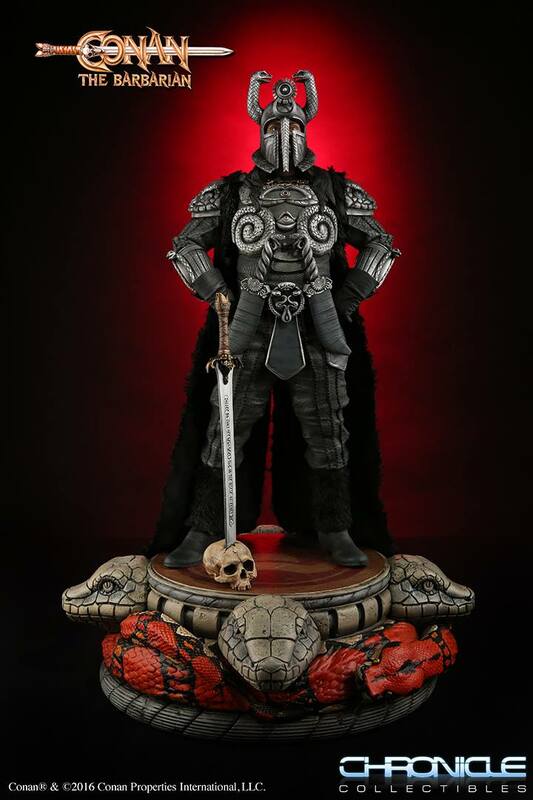 Last year, Chronicle Collectibles released a stellar Conan The Barbarian – King Conan 1/4 Scale Statue. It featured Conan, now a King, sitting upon his throne. Before he was king, Conan the Barbarian was a warrior set on revenge for the death of his parents at the hands of Thulsa Doom, played by James Earl Jones. A powerful wizard, and the head of a cult of serpents, Thulsa Doom is a formidable foe that is full of surprises. 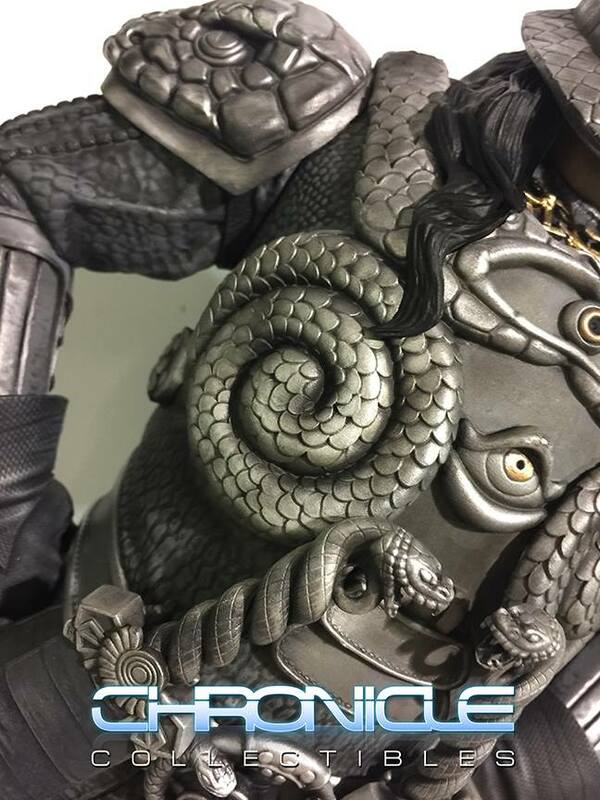 At San Diego Comic-Con 2017, Chronicle Collectibles will showcase their upcoming Thulsa Doom Statue for the first time. This will likely be a 1/4 scale release, to fit in with their previous Conan Statue. 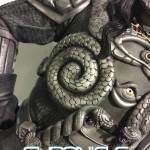 They have released a preview photo, showing the ornate armor detailing for the upcoming statue.